You’re invited to Toronto, Ontario, Canada to participate in Bike!Bike! 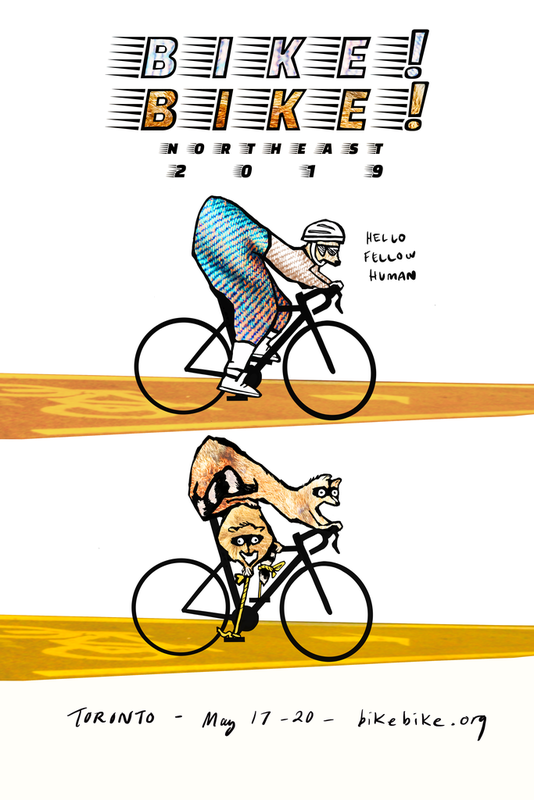 NorthEast 2019: a regional gathering organized by and for community bicycle projects. The conference is a space for participants from DIY shops and non-profit bike organizations to converge in a different city each year to learn from each other. Bike!Bike! Northeast is a collaborative project of a number of Community Bicycle Projects in Toronto. What can you expect when attending Bike!Bike! Northeast? You’ll learn about community bike projects from Canada and the northeastern US, and how they run. The conference will include workshops, bike rides, social events, meals and more all weekend long! It is going to be a lot of FUN! What’s included in registration for B!B!NE? Free access to parties, rides, and events for the entire weekend. If you have any questions, get in touch at bbne2019@gmail.com. All Bike!Bike! NorthEast attendees are welcome to organize and lead a workshop. You don’t have to be an expert but it helps to be prepared to lead/facilitate a discussion. Check out this document, which outlines how workshops work and a variety of styles you might use. To accommodate a diversity of workshop styles and topics, we’ll be dividing up workshops in 15 minute blocks - please request as much or as little time as you think your topic requires. Want to do a 7-10 minute PEDAL (Partnerships, Engagement, Design, and Access Lecture) with time for questions? Request 1 workshop block. If instead, you’d like to facilitate a 3-hour ride, request 12 blocks. Small blocks will be bundled together, and individual presentation-style topics may be scheduled during breakfast. Workshops will run from 10am-5/5:30pm on both Saturday and Sunday. Please have your workshop proposals along with a short description (20-100 words) submitted by May 1st, 2019. Make sure to include the workshop style (ex. Presentation, group discussion, ride, etc. ), and how many 15 minute blocks you think you’ll need. Most workshops will be in English with whisper translation to French on request and pending a availability of translators. Some workshops may be conducted primarily in French, or be fully multi-lingual with sequential translation. ¿Porqué motivo nos estás contactando?